Please email mk@morrison-usa.com with any questions! The time has come once again for our annual Kids Summer Movie Camp! Summer 2019 marks 25 years of the movie camp everyone has come to know and love. 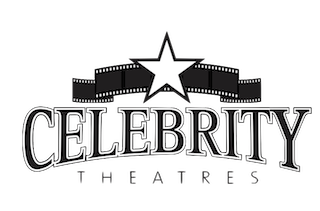 In honor of our Silver Anniversary, we’re rebranding this event as our Celebrity Summer Film Festival! Films are shown every Monday through Friday morning at 10AM beginning June 3rd and running through July 26th with a different movie playing each week. This program has always been very popular for the young and young at heart, and we need your help to make it a great success throughout the community again in 2019. The film festival is a great way for kids to be entertained during their summer vacation by giving them something that won’t break the bank for Mom and Dad! It’s also a great way for all of us to show we really care about the children in our community. We provide discounted rates for all tickets, including concessions, so we need sponsors to help offset the expense of the film rental and shipping. This year, we are offering four different sponsorship packages to choose from! The value of the passes, concessions, and arcade cards is equal to your entire sponsorship! Not to mention the value of the advertising which is well over $1000! Add to that all the good will generated in the community and you won’t find a much better investment for your business! Summer 2019 is going to be huge for Hollywood. With films such as Men in Black International, Toy Story 4, Spider-Man: Far From Home, The Lion King, Aladdin, and so many more amazing and highly anticipated films, this summer is slated to be the busiest the industry has seen in years! If you have any questions, please contact me at 225-755-3851 or email me at mk@morrison-usa.com. If you are interested in a Silver or Gold sponsorship, then please send a high resolution logo (not an advertisement, svg or png file if possible) to the email address listed below. The deadline for sponsorship is May 1st 2019, in order to have all of the advertisements produced. On behalf of the entire Celebrity Theatres family, thank you for your support. I look forward to speaking with you soon!